Dr. Lawrence Haber is the Director of Ambulatory and Young Adult Services. He has been the Director of YAS since its inception. Prior to assuming these responsibilities he was the Director of the Family Resource Center at the IOL since its inception in 2001. This is a program which provides education and support services for families that have a severely mentally ill relative. 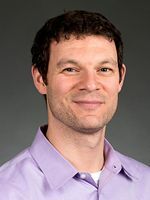 Dr. Haber has also been involved with the establishment of the POTENTIAL early Psychosis Program and works with families and trainees within this program. He is also responsible for the adult day hospital programs at the Institute. 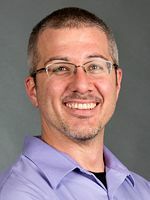 Lawrence holds a Ph.D. in clinical psychology from the University of Tennessee with his undergraduate work being completed at the University of Florida. 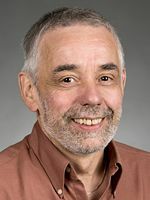 In addition to his responsibilities at the IOL he teaches Psychology courses at Central Connecticut State University, and maintains a private psychological practice at the Institute. 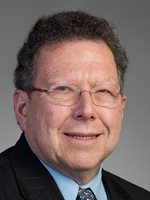 Dr. Haber has been a speaker for numerous organizations on mental illness including presentations to the National Alliance for the Mentally Ill and the American Psychiatric Association at their annual conventions. Prior to his joining the staff of the Institute of Living, Dr. Haber was the CEO of a community mental health center in Pennsylvania where he received an award as the communities “Finest” professional and served on the board of directors of the local chamber of commerce and helped established a community First Night celebration. David Bendor, PsyD is a licensed clinical psychologist in Young Adult Services. He also maintains a private practice in West Hartford. Dr. Bendor received his doctorate from the Massachusetts School of Professional Psychology and completed both his internship and postdoctoral fellowship at the Institute of Living. After completing his fellowship, Dr. Bendor was hired as a staff psychologist and worked on the IOL Adolescent Inpatient unit. During his time there the inpatient unit received Hartford Hospital commendations and was recognized as a finalist for the Hartford Hospital Team of the Year due to significant reductions in both patient restraints and seclusions. Prior to joining the staff at the Institute of Living/Hartford Hospital, Dr. Bendor worked at Riverside Community Care in Newton, MA. There, in addition to treating children, adolescents, and adults at the outpatient clinic, Dr. Bendor was part of the Town of Newton Youth Outreach Program, the Town of Needham Suicide Prevention Coalition, and the Riverside Community Care Trauma Center. Lizzie Buckland is a state certified recovery support specialist within the Young Adult Services team. Lizzie works with the outreach team to assist with young adults in YAS with their personal recovery. She understands that having a strong support system is crucial to overcome these obstacles in life. Lizzie is a powerful example and also strong proof that treatment is worthwhile. Lizzie is living her dream as to help others with their own challenges as she was helped in the past. 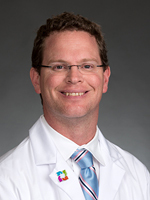 Michael Dewberry, MD is the primary psychiatrist for Young Adult Services. Dr. Dewberry is a graduate of the University of Connecticut School of Medicine, and completed his post-graduate training at the Institute of Living/Hartford Hospital. He is board certified by the American Board of Psychiatry and Neurology in both general Adult Psychiatry and in Child and Adolescent Psychiatry. Marilyn Finkelstein, LCSW completed her Undergraduate studies at The University of Connecticut in Storrs and received a Bachelor’s of Science where she began her work with clients who suffer from drug and alcohol addiction. Marilyn knew from her freshman year at UConn that she wanted to work in the substance abuse field after her internship at Peter’s Retreat in Hartford. Marilyn went on to do another undergraduate internship at Bergin Correctional where she ran Domestic Violence and Substance Abuse groups. Marilyn then went on to obtain her Master’s Degree in Social Work at Springfield College where she continued her work in the substance abuse field doing year- long internships at ADRC in Hartford and at Whiting Forensic at Connecticut Valley Hospital. After graduation Marilyn went to work at Rushford and worked at the Glastonbury site running an Intensive Outpatient Program to provide adolescents with substance abuse treatment. After four years in that program, Marilyn has now come to the Young Adult Program to implement a Dual Diagnosis Program so that young adults can more effectively address their substance abuse needs. 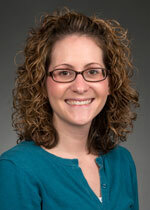 Mallory Fergione is the coordinator of the Outreach Program within Young Adult Services. Mallory began as a case manager in YAS to develop services for outreach and community integration and later stepped into a clinical role after receiving her MSW degree from UConn. Prior to joining the Young Adult Services staff, Mallory worked as a Vocational Rehabilitation Counselor for the Adult Inpatient Service after joining the Institute of Living/Hartford Hospital in 2008. 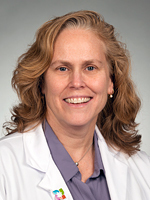 Dr. Julie Goslee is a board certified Child and Adolescent Psychiatrist at the Institute of Living/ Hartford Hospital. 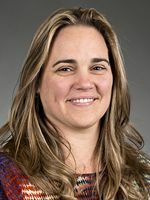 She graduated from UCONN School of Medicine in 2004 and completed an adult psychiatry residency at University of North Carolina Hospital in 2007. She subsequently completed a child and adolescent psychiatry fellowship at the Institute of Living/ Hartford Hospital in 2009. Dr. Goslee has worked at the Institute of Living/ Hartford Hospital as an attending since 2009. Additionally, she has provided psychiatric care to adolescents in residential care at Klingberg Family Centers in CT. In 2012, Dr. Goslee joined the Young Adult Services program, and provides psychiatric care to young adults in the outpatient level of care. 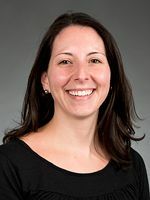 Additionally, she continues to work in the Department of Child and Adolescent Psychiatry, providing psychiatric consultation to The Grace Webb School and supervising child and adolescent psychiatry fellows. Kimesha C. Morris, LCSW is a licensed clinical social worker who received her Masters degree in Social Work from The University of Connecticut and completed her undergraduate work in Psychology and Black Studies at Providence College. She started her career at Wheeler Clinic as a Multi-systemic Therapy (MST) clinician doing intensive in-home therapy with Adolescents and their Families involved with the juvenile justice system. Shortly thereafter she joined the Institute of Living in January of 2005 as a Therapist in the Partial Hospital Program for Children and Adolescents, providing group, individual, family and multifamily group therapy. After four years in the Partial Hospital program, Kimesha transferred to the Hartford Juvenile Detention Center as a Contracted Mental Health Consultant for the Institute of Living. 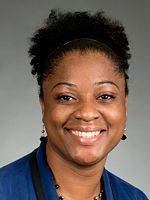 Throughout her full-time positions, Kimesha continued her work in the community doing Intensive In-home therapy with My People Clinical Services and later individual and family therapy at Intercommunity Outpatient Psychiatric Children’s Clinic. In August of 2011, Kimesha joined the team within the Young Adult Division at the Institute of Living/Hartford Hospital where she is currently a psychiatric clinician in the Young Adult Day Treatment and Outpatient programs. Kimesha’s clinical and research interest includes adolescents and young adults with a broad spectrum of mental health difficulties, specifically focusing on the impact of psychiatric illnesses on minority populations. She has experience working with children, adolescents and adults in various settings including the emergency room, PHP/IOP, Outpatient centers, CARES crisis and managed care. She has a particular interest in DBT and trauma focused work. She has been at the Institute of Living since 2007. Kevin O’Shea, PsyD is a licensed clinical psychologist currently working as a clinician in the Young Adult Services program at the Institute of Living/Hartford Hospital. He also has a private practice in Farmington, CT.
Dr. O’Shea received his doctorate from the American School of Professional Psychology at Argosy University in Washington, DC. He completed his psychology internship and postdoctoral fellowship training at the Institute of Living. After completion of his fellowship, Dr. O’Shea was hired as a clinician on the geriatric inpatient unit at the Institute of Living. He then transitioned to the role of staff psychologist on the inpatient unit for serious and persistent mental illness before transitioning to the Young Adult Services program in October, 2012. 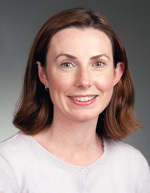 Dr. O’Shea’s approach to therapy represents an integration of a psychodynamic conceptualization with cognitive and behavioral techniques that promote symptom reduction and increased self-efficacy. His clinical experience includes long- and short-term individual therapy, group therapy, and family therapy for a broad range of mood disorders, anxiety disorders, and personality disorders. Specific areas of clinical and research interest include early psychosis, substance use disorders, and dementia. Laura Saunders, PsyD ABPP is a staff psychologist working in Young Adult Services at the Institute of Living/Hartford Hospital. She is also Board Certified in Clinical Psychology. Dr. Saunders has expertise in child psychopathology, behavior management, child development, mood disorders and family therapy. In addition, she has been involved professionally with LGBTQ youth for over 20 years. She appears regularly in local TV news to provide psychological input on topics relevant to children and families. She maintains a small private practice at the Rainbow Center for Children and Families in Wethersfield, CT.
Dr. Saunders has been named the Clinical Coordinator of a new LGBT Intensive Outpatient program in Young Adult Services for individuals struggling with significant emotional distress, minority stress and identity development. This program is the first of its kind in CT.
Carrie Swiatek, LCSW received her Master’s degree in 2011 from Smith College School of Social Work where she completed both internship rotations within the Institute of Living. Rotations included the Child and Adolescent Inpatient units, the C.R.E.S.T. Program at the Grace Webb School, and the Potential Early Psychosis Program. After completing rotations, Ms. Swiatek was hired as a staff psychiatric clinician for both the Young Adult Services Partial Hospitalization Program and Intensive Outpatient Program. Prior to joining staff at the Institute of Living/Hartford Hospital, Ms. Swiatek completed her BSW and minor in psychology at Saint Joseph College in West Hartford, CT. There she completed two full year internships; one as a Therapeutic Foster Care clinician at Wheeler Clinic and the other as a school social worker at the Classical Magnet School in Hartford, CT. Ms. Swiatek’s clinical and research interests include severe mental illness within the child, adolescent and young adult populations, as well as collaborative and therapeutic work with families. David Vaughan is the program manager for Young Adult Services to include the IOP/PHP, outreach and outpatient services and the Potential Early Psychosis program. David has an MSW from York University in England. He has worked in social work for over 33 years, both in the UK and the USA. He has worked as a “patch” social worker, a community organizer, and managed Day Programs in London and Southampton, England. He also has been the Director of Rehabilitation Services in Meriden, has been the Director of the ACT Team at CMHA in New Britain, and been the Director of the Out-Patient Clinic at the Genesis Center in Manchester. David has worked at The Institute of Living/Hartford Hospital for over 18 years. He has been an Inpatient Clinician, and was the Program Manager of the Schizophrenia Rehabilitation Program. He has worked in the Adult Day Treatment Program, and is presently the program manager of Young Adult Services, which include the Potential Early Psychosis Program, the Young Adult Intensive Outpatient and Partial Hospital Program, and the Young Adult Outpatient Services. He also runs support groups and has delivered lectures at the Family Resource Center. David has had a particular interest in working with young people since the early 1990s since he realized that the services that are traditionally offered do not adequately meet their needs, or fit young people’s expectations or style. He has thus been centrally involved in the development of Young Adult Services since the beginning along with Dr. Madonick and Dr. Haber.